No one is taking any responsibility for this logistical nightmare. Compensation offered, if any, really doesn't do anything to instill confidence that I will see my phone this month. Samsung says call BB, BB says call Samsung. I swear.... never again. The earbuds really aren't worth this headache. It's funny that they told you "white" is in high demand when I ordered the pink and they told me the same thing. I am sure support is tired of seeing this type of post. I have skimmed the forums and I see a lot of people do not have their phones. One of the reasons I pre-ordered the s10+ was because I am leaving for a little while with the military. I haven't gotten any communication regarding my order since March 7th, the day of the order. 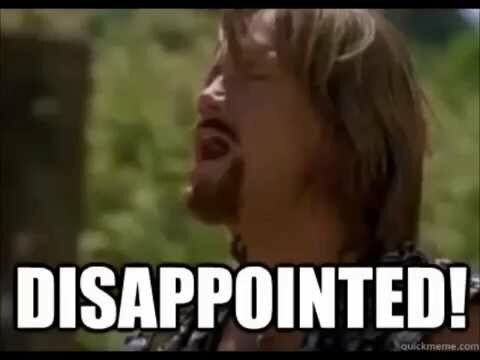 The store told me that if I do not pick it up within 5 days of recieving the "We have your product" email, they cancel my preorder. I am leaving within the next few days and still do not have my phone. I was also told it absolutely had to be me that picked up the phone, but I cannot do that if I am not here. I have read a few threads where support tells people to check an "order status" page of sorts. When I click those links, I get a dead page. Is there anyway I can see if I will get my phone before I leave? It would be very much appreciated. Re: When will I receive my pre-order Samsung ear buds? Can I ask when you pre-orered and through what carrier via Best Buy? Update: As of today, March 20th, I still have not received any email communication from Best Buy as to the delay with my order nor when I should expect to pick up my phone which I pre-ordered on February 22nd. I tried calling the general Best Buy number and the support person was unable to tell me when I should expect to receive the new phone. I also tried calling Samsung to see if there was anything they could tell me. I was informed that since I didn't purchase through Samsung, there was no information they could provide (makes sense). I then asked if, hypothetically, I did order my exact same phone (e.g. AT&T S10+ 128GB Flamingo Pink) through their website, when I would expect to receive it. I was informed that they didn't have a date because the item was current out of stock and there wasn't an ETA on when it would be available again. Again, I wish someone could explain to me why, if I pre-ordered my phone, it is not available for pick by March 8th. Or, if they aren't able to fulfill my order March 8th, give me some communication as to why there is a delay and when I could expect to pick the phone up. This lack of communication makes absolutely no sense (and no, an apology from this forum's moderator doesn't count as communication). I'm in a very similar situation. I made the same calls last week and then again today. One difference is the phone I’m waiting on (S10+ 1TB Black) IS in stock on Samsung’s page. I actually got a bit of new information that actually annoyed me a bit more. Here is how it works. This is the ultimate first world problem and not a life or death situation. But both Best Buy and Samsung deal in luxury items.. No one NEEDS anything they sell.. so they should really be doing a better job making sure these orders are filled... At this point, yes, Best Buy is at Samsung’s mercy and can’t give us info they don’t have… How they got here cannot be all Samsung as other stores are doing a better job. Best Buy DID email me to tell me I could pre-order the new iPad Air! Maybe it will even come in before my Samsung 10+? HA! I never received any email contact about my phone, only ads. Watch when the 22nd comes. They say it won't be here until next week! Ridiculous! Best Buy y'all have tremendously dropped the ball with this pre order situation! NEVER AGAIN WILL I DO THIS! ESPECIALLY WITH BEST BUY!